Imagine my JOY when I found out that after several false starts, we are finally getting a Trader Joe’s in Prescott – the first one in Northern Arizona, no less! Even though it isn’t on the official “Opening Soon” list on the TJ website, we’ve all been eagerly watching the progress of the construction, as it’s due to open in early 2012. 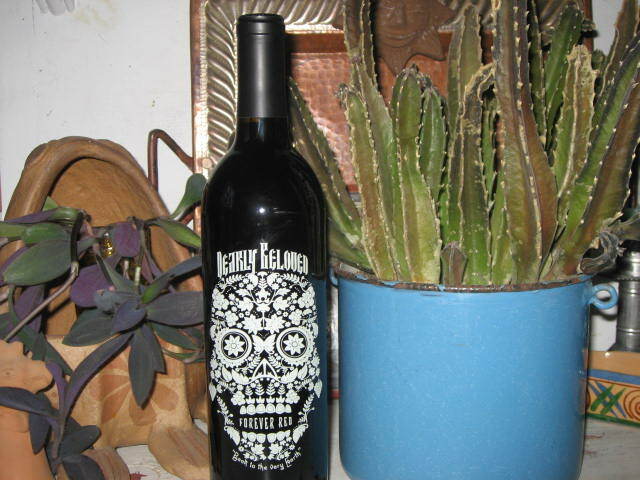 While in Tucson this past weekend for the All Souls Procession, Mr. E and I stopped at TJ’s for some much needed supplies…and we found this! …and a peek at how it might look after a few glasses! Seriously, I tried it tonight and it’s very smooth…just in case you want some andyou’re blessed with a Trader Joe’s in your town already! For more Share the Joy Thursday, visit Meri @ http://meriak.blogspot.com/. ~ by Dawn Elliott on November 9, 2011. Thanks for the heads up………..
I’ll go today and check it out. Alas, Trader Joes is a rare treat for me here in MH. Love the bottle though ! Wish we had a Trader Joe’s here but alas I have to visit my kids in order to shop there…DRAT!!!! TJ is one of my favorite stores and there are several in this area. I can imagine how exciting it is for one to be coming to Prescott. 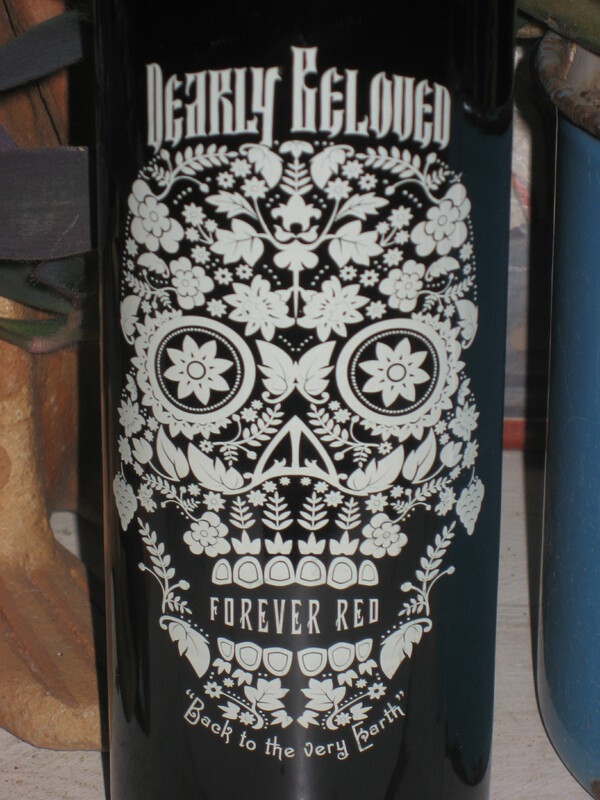 I’ve got to go and see if they have any bottles of this left at my TJs. Fabulous. 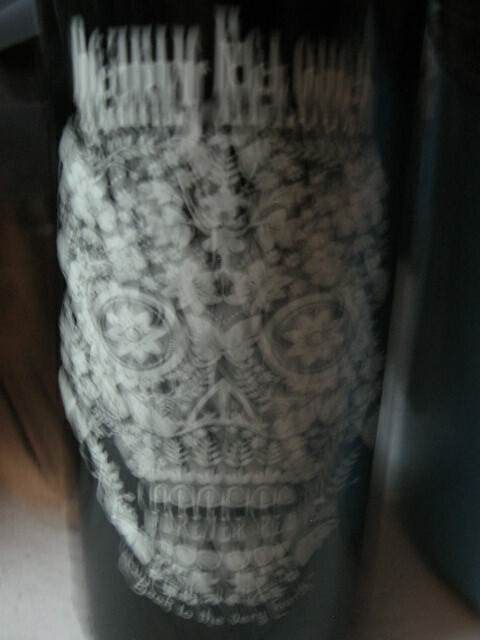 Very cool bottle — and love the inebriated version. By the way, your photo is on the FinallyMe site in the article about girlfriend friendships.